The demise* of the JREF forum (link here) is of course a cause of much sadness for those of us that have been long time members. The mutual support between the forum and the JREF has been a successful one for many years, but this post is not to complain but simply to remember. I first came to the JREF via the forums. I was suffering from depression following the death, or as I like to still think of it, murder, of a friend that had used a psychic to contact her recently diseased son. When her money ran out, so did the sessions with the psychic who was her only contact with her dead son. The friend committed suicide, to be with her son. The problem was I believed the psychic and while upset at his lack of morals in cutting my friend off, I still believed in his abilities. I had never heard of cold reading, but James Randi and his books Flim Flam and The Faith Healers educated me on how truly evil humans can behave when money is involved. The good, that helped me regain my faith in humanity after dealing with the very very bad. The problem was, I was left feeling people were truly capable of great evil, and the feeling left me even more depressed than I had felt before. 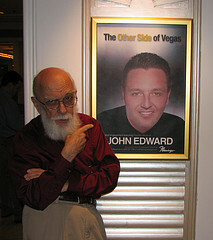 Still, Randi’s books had shown me there was at least one good man out there that was fighting these scam artists. While reading his site, I waited for each Friday when Randi would post his weekly update as if it were Christmas, I discovered the part of the site called the “Forum”. The forum was where people connected, fought, shared family concerns and stories, and generally supported each other. If I had a question about a paranormal concern, the forum quickly found me the answer. If I had a funny story about my kids, the forum was quick to “lol” and share a story about their kids. 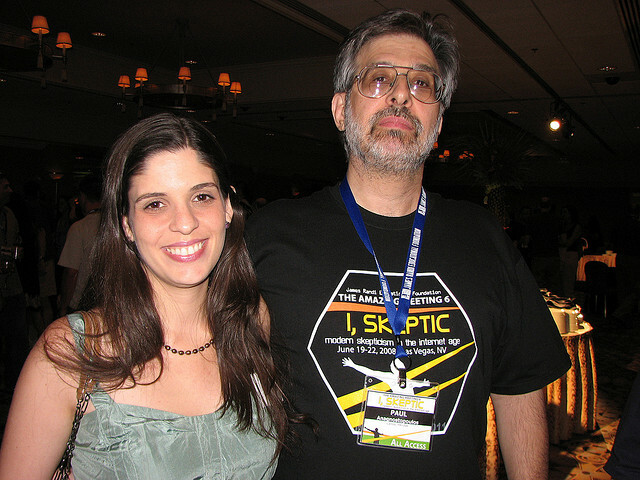 I began to learn it wasn’t just Randi who was a good person, there was this whole group of people that called themselves “Skeptics”. Two friends. One from Brazil, one from New England. Thank you Forum. Some wrote books, some gave talks, many were teachers and most were really nice. I learned a lot about Atheists and what their lives were like. It never occurred to this Liberal Episcopalian that life was tough for an open Atheist. I just didn’t know that many Atheists. I found out later I knew a lot of Atheists, they were just very quiet about it. If you think the situation has improved much, I know a young atheist engineer that was recently fired from her job, because it became known to her boss she was an Atheist. I became aware of how much more work there was for skeptics to do besides just fighting those that claim to “talk to the dead”. I attended the first TAM (aka The Amazing Meeting) in Plantation Florida because of the forum. I was still getting over my depression and was nervous about meeting a crowd of unknown people. Still, these people weren’t unknown, they were known because I had met them already online. This started the “Forum Welcome Table”, where people attending future TAMs could find a friendly face and information (“Where is the best place for Thai food?”) even if they knew no one at TAM. Anyone nervous about attending TAM, met online or in real life, I directed to sign up for the forum so they could make friends before TAM. The “First TAMMER” buttons given out have proven a big hit over the years. A button meant, “please include me”. 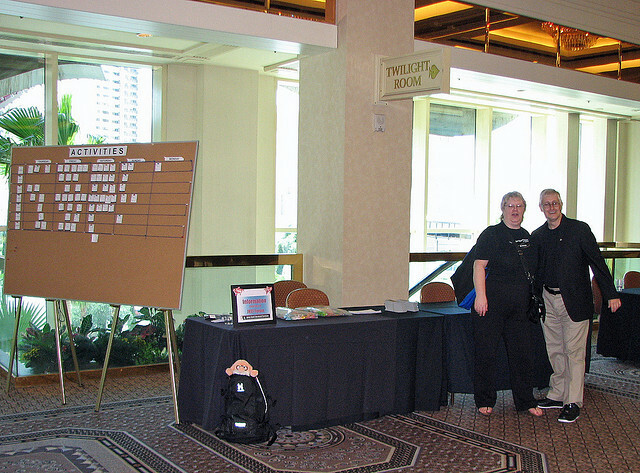 A forum welcome table at a TAM. Natalie as she has for years welcoming everyone. I hope in future TAMs, while there may no longer be an official forum, a group of friendly experienced TAM attendees will still be allowed to have a welcome table, full of free goodies and with “First TAMMER” buttons. My real life best friends were first met online on the forum. I share a blog with my friend Naomi from Texas, and I could probably go to almost any country around the world and find a couch to sleep on at the home of a friend I met via the forum. I even wrote a book with a forum member, known as Curnir, from Sweden. It is a children’s book based on the real life adventures of his family dog Zigge and the neighbor cat Lisa. They teach critical thinking skills while having adventures together. Curnir would share the stories, and I would write them up giving them a skeptical bent. Money raised from the book went to purchasing copies of the book to give out to forum members that had young children. You can still purchase a Kindle copy of the book. It was with great sadness I learned that Curnir had unexpectedly died. The entire forum still feels his loss. Also Mr. Skinny (I’m using forum names here) was a sad loss. He was finally retiring, counting down the days, and going to attend his first TAM. He was going to give us all a hug in real life. His heart gave out before we could meet him. We remember those that have died as family we will never forget. I think Nobby Nobs was perhaps one of the forum’s finest moments. His thread, starting with his fear he might have ALS, went on throughout his life. He shared the confirmation of the diagnosis, and we all followed his journey and learned so much from him. The forum helped him get the computer he controlled with his eyes, so he could still post on the forum. During TAM, the forum tried to organize something for Nobby. Each year it was something different from a scrap book to a mass mailing of postcards to him at the nursing facility where he was hooked up to machines that kept him alive. I’d like to say the forum did a lot for Nobby, but I can assure you everyone would agree he did much more for us. We learned the meaning of courage and also finding beauty and joy in just being alive. As we say farewell to the JREF forum, I know the friendships found there will continue on via new social media, and more real life meetings. Now there is Facebook and Twitter and I hope a new non-JREF home for those that met, laughed, learned and became family via the original JREF Forum. *The forum will no longer be supported by the James Randi Educational Foundation, but it will be hosted on a new server, with the same people as moderators and administrators. The existing forum is still active for a few months, and a new name and link will be available soon. « Rural 911, may just be YOU. How to be prepared.